Double Flare. Sizes: 28.5mm (1 1/8) and 30.1mm (1 3/16). 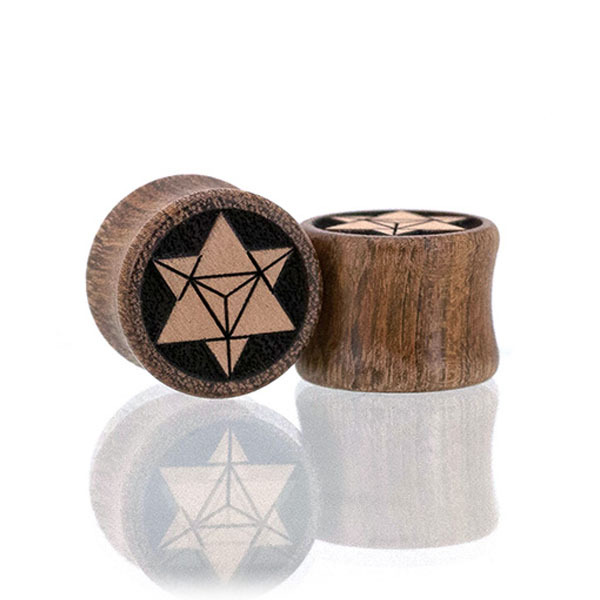 Geometric style Merkaba Plugs handcrafted in chechen wood with swiss pear inlay. Featuring two intersecting tetrahedrons, one pointing up, the other down. A great example of the beauty and symmetry found in Platonic solids.